GENEVA, SWITZERLAND – Dance by the lake until 4am! 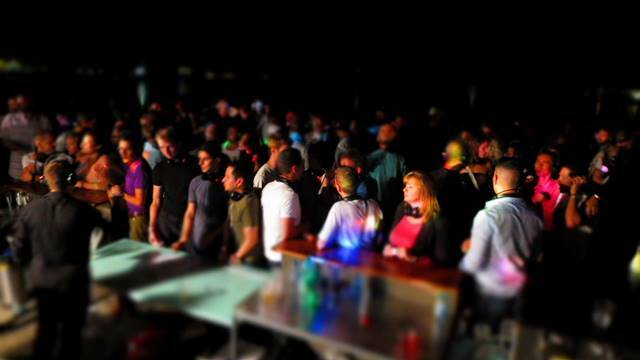 Dialogai hosts its annual Silent Party, Geneva’s largest gay -and straight- dance outdoor party tonight at the Bains de Paquis from 22:00 until 4:00. DJs, an outdoor bar and dancing by the lake until the wee hours is what the Party is all about. Music is provided through a wireless system and special wi-fi enabled headsets. In other words, you decide how loud you want the music to be, all without really cranking up the volume and disturbing nearby residents. The admission fee is CHF10 plus a CHF10 returnable security deposit for the headsets. “Dialogai is a gay organization but the Silent Party, like the majority of our activities is open to all, regardless of sexual orientation,” said Fabien Bertrand, one of the organizers. If you want to dance the night away and outdoors now you know where to go. In addition, if you are interested in joining this organization, if you are new in town and looking for a support group or would like to volunteer in one of Dialogai’s many events, show up at 18:00 at the Bains de Paquis for their meeting. All you need is a little French to participate!